- A must for Acne & Rosacea sufferers. 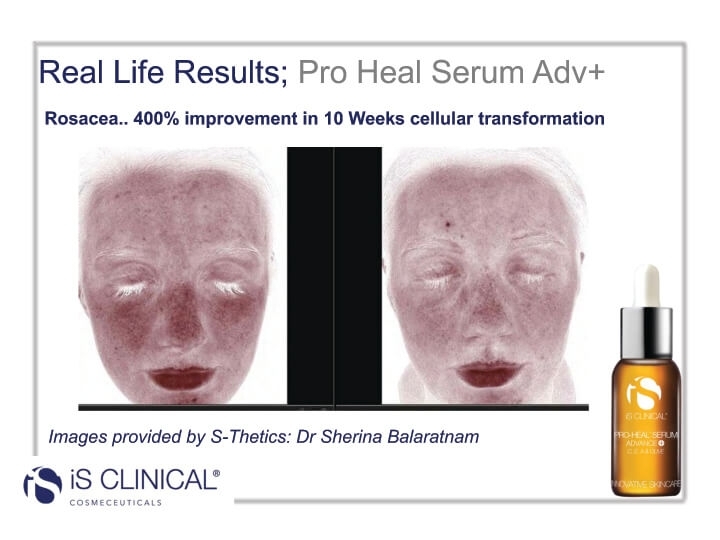 Pro-Heal Serum Advance + Featuring our scientifically advanced Vitamin C time release technology combined with a superior form of olive leaf extract and pure vitamins A & E this clinically proven formula delivers our highest ever anitoxidant protection and exceptional healing properties. A must for Acne & Rosacea sufferers. Scientifically-advanced, stabilized form of L-ascorbic acid providing time-released, continuous delivery. Potent, natural antibiotic, anti-acneic, anti-inflammatory and antioxidant. 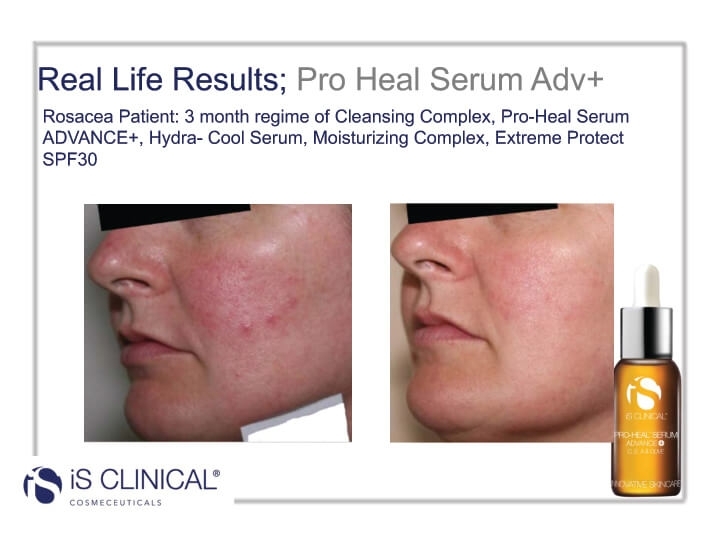 Read Andrea's product review for Pro Heal here..